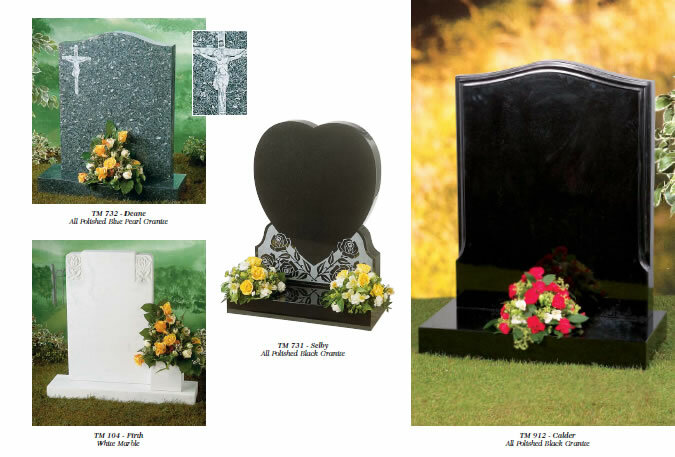 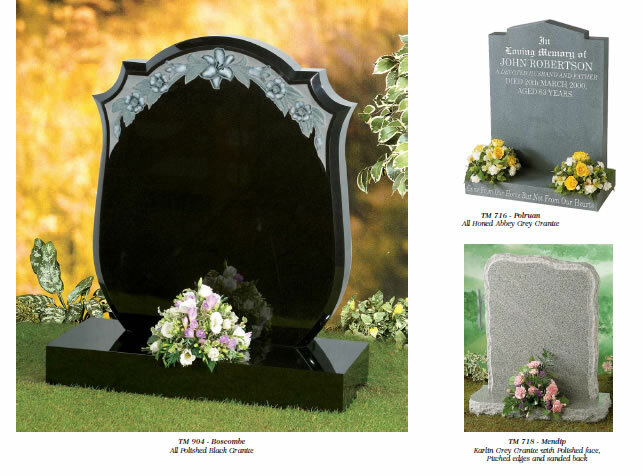 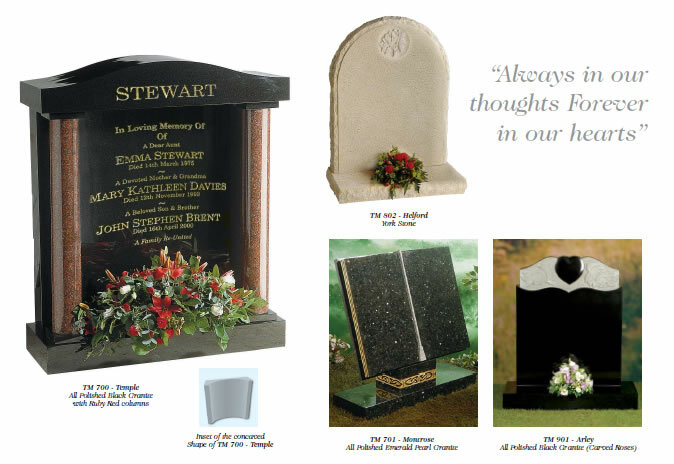 Please browse our sample of Memorials and Plaques, if you have any questions please do not hesitate to contact us. 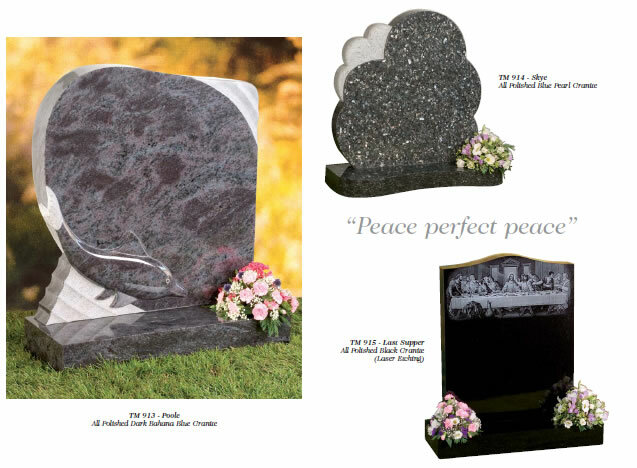 Two of the most popular sizes are 2ft 6in overall height made from 3in thick material and 2ft 10in made from 4in thick granite. 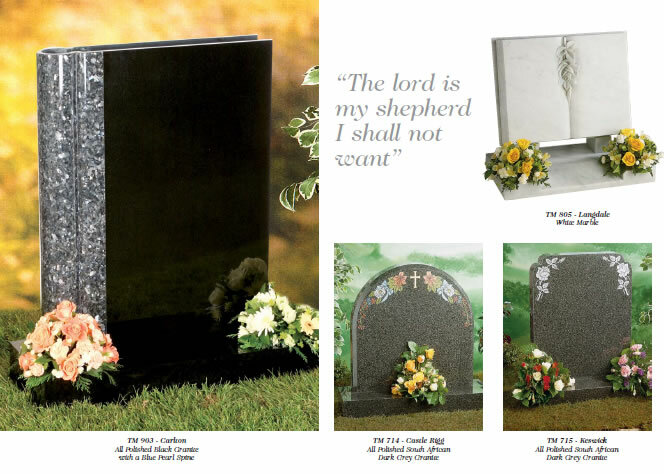 The memorials on this website show a selection of floral and religious designs. 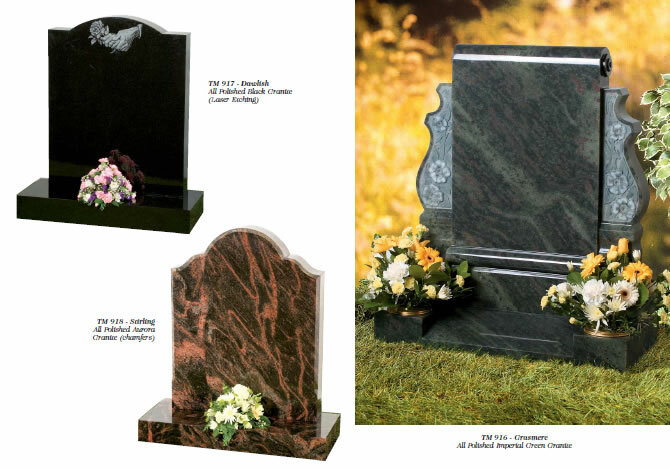 Granite is a very hard stone and stands up well to the elements. 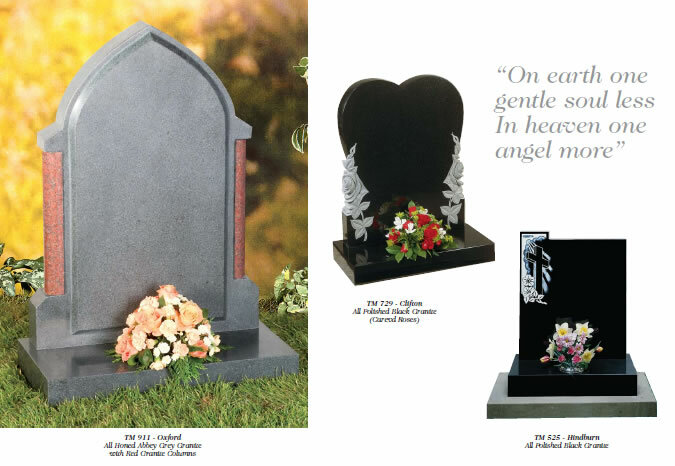 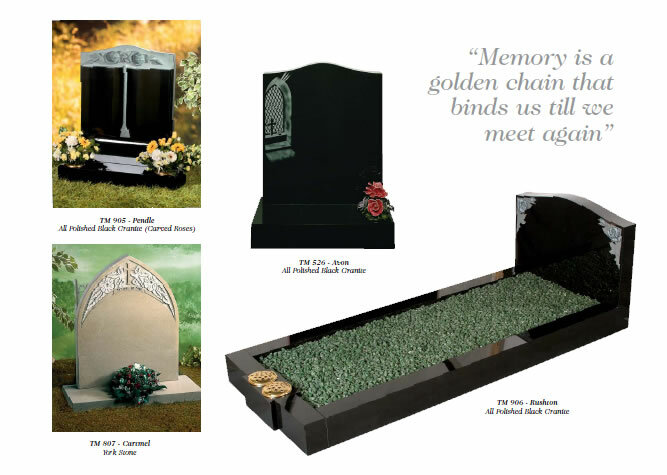 We can also create a memorial based on your own special design. 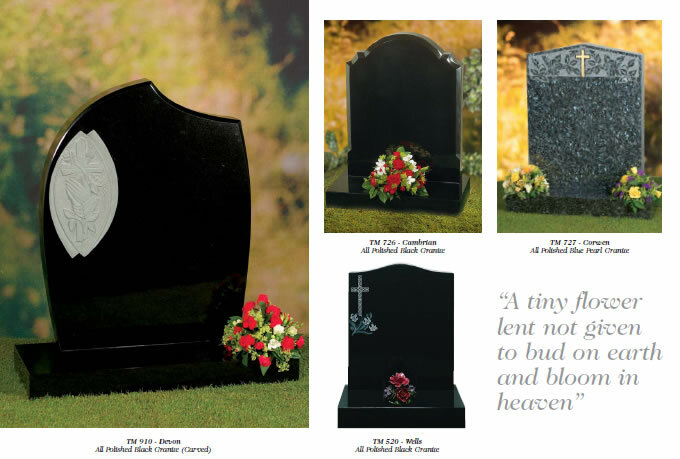 If you're looking for a Smaller Memorial, please select Smaller on the menu above. 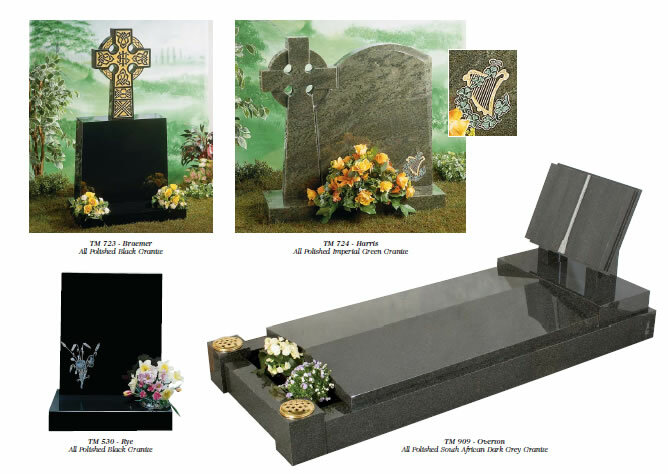 In most cases granite is available in either fully polished or partly polished, which means that the memorial is polished on the face where lettering and ornamentation is carved and on the top of the base where flowers are usually placed. 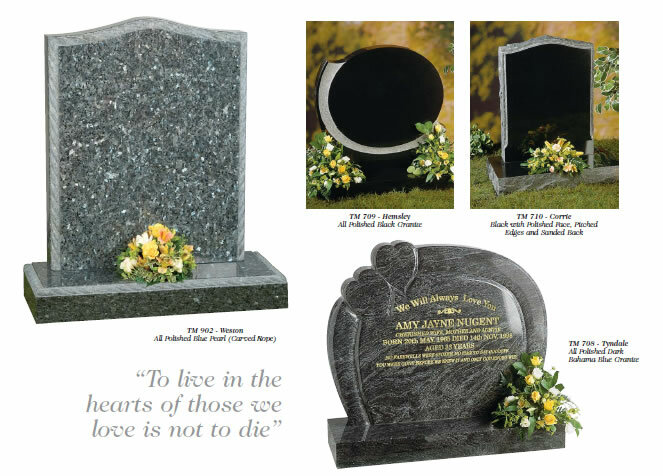 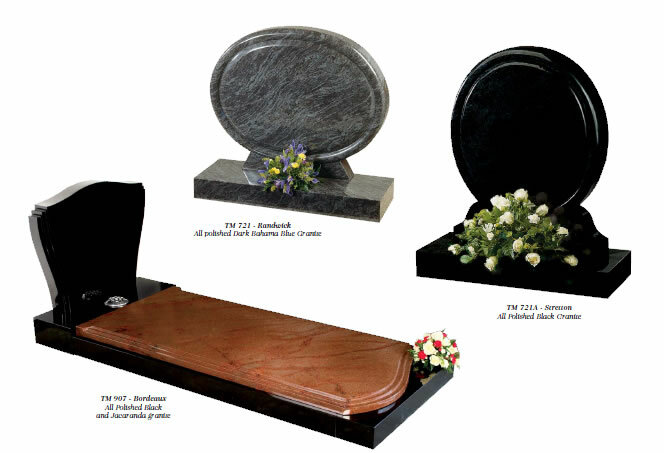 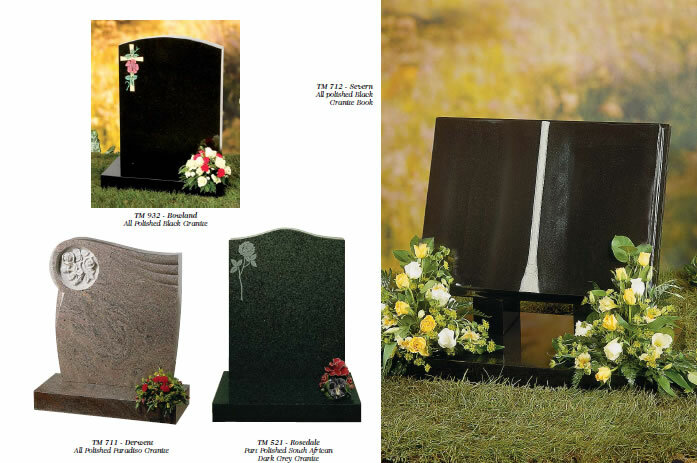 Although black is still the most popular colour, over recent years many of the different coloured granites have become more prominent in our cemeteries. 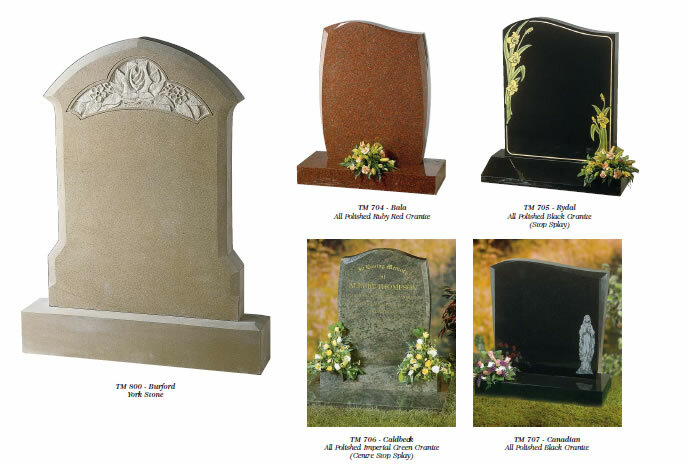 Granite comes in many different colours and from many parts of the world.